The Department of Radiation Oncology and treatment with CyberKnife at the the Medicana International Ankara Hospital offers cutting-edge methods of radiation oncology for the treatment of all types of tumors. The department specializes in intensity-modulated radiation therapy, intraoperative radiation therapy, the most advanced radiation therapy (VERSA HD), CyberKnife treatment, brachytherapy and other treatments. The department has at its disposal the state-of-art equipment, including low- and high-energy linear accelerators LINAC, etc. The Chief Physician of the department is Prof. Dr. med. Kaan Oysul. The department has all the most advanced medical technologies to provide diagnostics and treatment. These include, for example, radiotherapy with the VERSA HD new-generation linear accelerator, MONACO TPS treatment planning system, cone beam computed tomography (Cone Beam CT) and PET/CT Discovery IQ system. The combination of PET and CT allows the physicians to obtain cross-sectional images of the desired body regions and monitor the processes occurring in the tissues and organs. PET scanning is effective in the diagnostics, treatment and follow-up care of patients with tumors, heart diseases (coronary artery disease, heart attack), brain diseases (brain tumor, epileptic seizures), etc. Scintigraphy (brain, liver, kidneys, heart, bones, tear ducts, lymphatic circulation, stomach, intestines, parathyroid glands, lymph nodes, testicles and salivary glands, etc. The department’s most important therapeutic options include intensity-modulated radiation therapy (IMRT), intraoperative radiation therapy (IORT), CyberKnife treatment, brachytherapy, etc. The IMRT technique allows the physicians to individually determine treatment intensity for different body areas. This method is successfully applied in the treatment of prostate cancer, head and neck tumors, breast, thyroid and lung cancers, as well as gynecologic, liver, brain tumors, lymphomas and sarcomas. Moreover, IMRT is also an important option in the treatment of pediatric tumors. In the field of breast cancer, one of the treatment options is intraoperative radiation therapy. The IORT method has many advantages in terms of time and cosmetic aspects. This method can also be used in the treatment of some abdominal tumors, for example, in pancreatic cancer, gastric, colorectal cancers, soft tissue tumors, etc. Another important method is the CyberKnife technology, which is designed to treat lesions located at any part of the body. The CyberKnife procedures are conducted under constant imaging guidance, and therefore the patients are provided with the best possible safety and treatment accuracy. The combination of the advanced medical experience and cutting-edge technologies ensure very high rates of treatment efficiency. The patients of the department can be sure that they will receive here medical services of the highest quality. 1992 Medical Education, Gulhane Military Medical Academy. 1995 - 1998 Residency, Department of Radiation Oncology, Gulhane Military Medical Academy. 10/1995 - 01/1996 Basic Oncology Course. 10/2004 - 10/2005 Specialization in Radiosurgery, University of Pittsburgh, Pennsylvania. 04/1993 - 10/1995 Flight Surgeon. 11/1995 - 1998 Radiation Oncology Residency Program. 1999 - 2005 Clinical Assistant Professor of Radiation Oncology. 2004 - 2005 Specialized Neurosurgical Instructor in Gamma Knife Radiosurgery and Stereotactic Surgery, Department of Neurosurgery, University of Pittsburgh. 2005 - 2012 Associate Professor of Radiation Oncology. 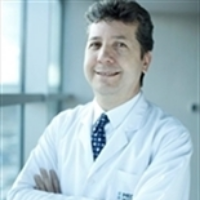 Since 2012 Professor of Radiation Oncology at the Medicana International Ankara Hospital, Center for CyberKnife Radiosurgery and Advanced Radiotherapy Technologies. Turkish Society of Radiation Oncology (TROD). European Society of Therapeutic Radiology and Oncology (ESTRO). Department of Radiation Oncology and CyberKnife Treatment.